2019 is a game-changing year for Samsung. This year Samsung launched too many good smartphones for the asking price. This includes the budget Galaxy M series and midrange Galaxy A series. All these smartphone has waterdrop notch display, which actually looks a lot better than notch or punch hole display. 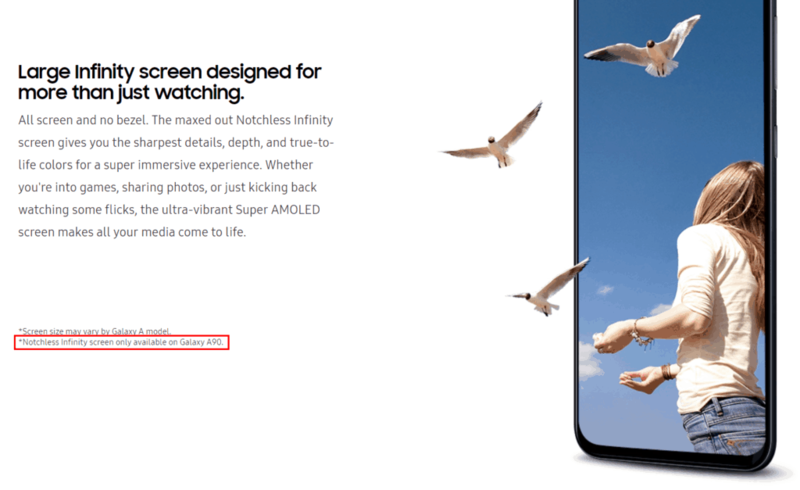 Seems like Samsung wants to up the game from water drop notch with Galaxy A90. The upcoming Samsung Galaxy A90 smartphone will have a notch-less display. This means the smartphone won’t have regular notch, water drop notch, or punch hole design. It will only have plain display. 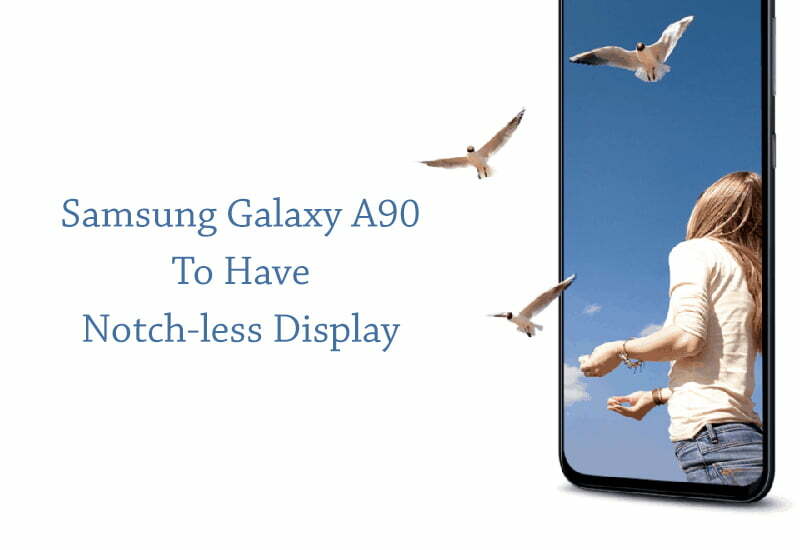 This takes us to a point that this Galaxy A90 might become the first ever Samsung smartphone to have pop-up camera. This will be feature that the flagship Galaxy S10 also doesn’t have. we will get clear on all these promotions on 10th April, when Samsung is hosting launch event of a Galaxy A device. So that’s all the information we have as of now. What are your thoughts on this midrange Samsung smartphone to have a notch-less display? Let us know in the comment section below. Also stay tuned with us for more information.